I feel like this past year has been one I will look back on fondly, and remember it as the year I definitively changed the way I saw books, reading, book buying, book blogging - basically all the bookish things. Back in August I shared a post titled 'How Do You Build Your Book Collection? ', in which I talked about how the way in which I curate my book collection has evolved over time, and I have a different way of looking at book buying now. Throughout the years in which I've built my book collection, it is at one of its smallest sizes, and I feel the most happy about it. Something that I feel really helped me with this is the fact that I implemented a book buying limit in 2016 - I was to buy just four books a month. Prior to this year I was very much someone who amassed a lot of books. I browsed book buying sites often - purchasing regularly, I spent the majority of my own personal money on books, I couldn't leave a bookshop without a new book in hand, I happily popped a book or two in my shopping trolley whilst getting the groceries - I wouldn't say I was obsessively buying books, but I would say I bought far too many books. 2016 was my year to tackle all those unread books on my shelf, as well as do something about that book buying of mine. I did think I would struggle with the book buying ban, but honestly, I surprised myself! There were a couple of months where I bought eight books instead of four, and there were months where I bought no books at all. But I'm drawing 2016 to a close happy with how I've handled the goal - because whilst to some it would seem I failed having bought more than four books some months, to me the goal was there as a guide not a rule. In the new year, I'm going to be taking things one step further. It isn't a goal, guide, or rule - it is something that I know will happen as my mindset on all things bookish has evolved and I'm in a really good place now with books and reading. There is no limit, no number to abide by, I won't be buying x amount of books a month - I will be more intentional in my book buying. This coming year I'm going to be focusing more on the reading, not the amassing of books, but the experience of reading and books, and sharing in that with my bookworm son. Once a month - no set time within the month - we will head on out to a bookshop and immerse ourselves in books. We'll pick them up, we'll have a read, we'll wile away some time in all things bookish, and we'll come away from the shop with a book or two. Not a pile, not a stack, not a whole bag full but a book or two. I may buy the occasional book elsewhere, I may not. I want to focus more on the act of reading and the experience of being enveloped in words and stories. This is why I fell in love with reading. This is why I spend most of my spare time reading. This is why I share reading - both here on my blog and in real life with my son. It all began with the act of reading, and this is where I hope to return. In many ways I'm returning to my reading roots, and in doing so, I will also become more active in borrowing books from my local library system. It will be a shift of sorts visiting the bookshop only once a month, but I won't feel like I'm missing out - if anything, I'll find it enriching more than anything, being able to share in the pleasure of a bookshop with my son, and it being a meaningful activity. Whilst I love book blogging, I feel like at times it can put a pressure on us bloggers as readers - I've heard many people within the book blogging community voice such an opinion, and I definitely get that. This past year has taught me that there is no need for the pressure, for a toppling TBR that is uncontrollable, for wishing you had the newest titles out, for wanting to own all the books. I read because I love it - I love falling into the lives of fictional characters, of returning to worlds that bring me comfort and joy, discovering new to me truly talented authors, and being blown away by words on a page. I read, and then I write. I write here on my blog about books because I want to shout about a given author or book, I want to share thoughts on books that others may like also, I want to connect with other bookish people who are passionate about reading too. These are two activities I love and enjoy - reading and blogging - and I don't want unnecessary pressure taking away from them. Fantastic post, Jade! I love this. I wish I could not focus so much on new releases and wanting to have all the new books. I'm trying hard to really evaluate if I'm going to read something before I decide to buy it/request it from Netgalley. I've drastically cut down my TBR so it's not overwhelming. And I'm trying to just read whatever I want without any pressure. We'll see how it goes in the new year. Here's a great year of reading!! It sounds like you're a great path with your reading and accumulating of books, Brandie. 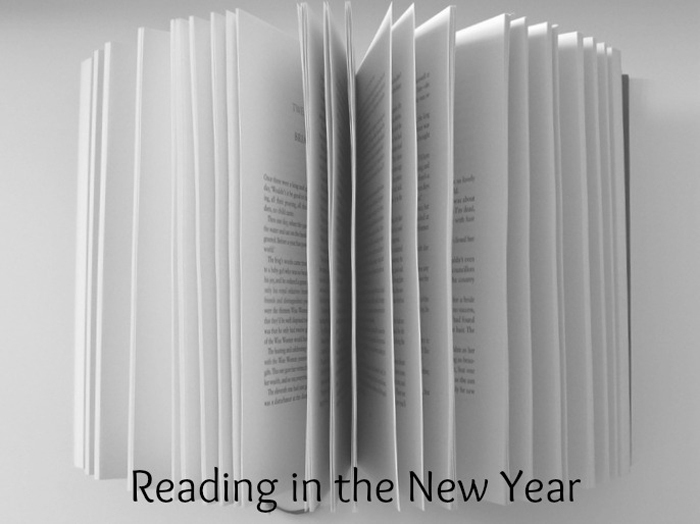 I hope you have a great new year in books, with no pressure, and some great reading material! I love this post. Reading is really something magical, and if we just drown under all the books and pressure we put on ourselves, we lose so much. Best of luck with your 2017 plans. I think they sound wonderful. That's so true, Julie! Thank you! Good luck with figuring out your plans for the new year, Christine - I'm interested in what approach you'll be taking, especially after your recent blog post. It feels great once you've got yourself to manageable place, and of course that'll be entirely different for each reader. I love this post. I did a pretty good job of controlling my TBR pile this year, and I’m hoping to continue that next year. My TBR is big, but it’s not so huge that I’ll never get through it. Good luck with your 2017 goals! It sounds like you have a controlled TBR, which is great! Thank you! Our reading goals definitely change over the time of blogging. Finding the blogging world has been the best thing for my reading. Passing the phase of being overwhelmed with the books, blogs, challenges, ARC's etc, I love just reading what my mood strikes and says to read. Well done on the budget inspiration. A few I go by now are - new books, buy and read right away, netgalley, request to read and read within month which stops me from over requesting. My goal for 2017 is to pick up a series that I have started and to catch up or complete it. I think I am going to stick with the authors that have impressed me and who I already love instead of trying so many new to me authors. Being in the blogging world can definitely have an affect on your reading approach, and it depends the reader as to whether that is a positive or negative! It sounds like you have some great core guidelines you stick by, and I like that you follow your mood - I'm very much the same in that respect. I hope you're able to complete your own goals in 2017 - sticking to authors whose work you have enjoyed in the past sounds like a great goal. Love your shift of perspective and your goals for 2017! I think keeping the pressure off as much as possible is important. I think that's what burns so many bloggers out. What wonderful goals you have set for yourself. I'm still in the overwhelming TBR stage with my reading, but I'm focusing in 2017 on making sure that I'm reading what I want to read and not just ARCs that have been sent to me for review. I think finding that balance is crucial to keeping reading and blogging fun. I agree with you wholeheartedly, Suzanne - a balance between blogging and reading whilst making it fun is so crucial in being able to keep both hobbies enjoyable. I hope you enjoy reading what you want to read in 2017!